Founder and CEO of Social Business Earth. Originating from Bologna, Italy, she holds a BA in Journalism & Communications with a Minor in Asian Studies from Pepperdine University, Los Angeles. She has over 10 years experience working for NGOs and private companies. In 2009 she developed an interest in Grameen's microcredit and social business, where she participated in training programs at Grameen Bank in rural areas of Bangladesh. 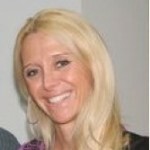 In 2011, she founded Social Business Earth Sagl in Lugano, Switzerland.